1567 Corky Cox Ranch Road, Cypress Mill, TX 78620 | Martha Turner Sotheby's International Realty, Inc. 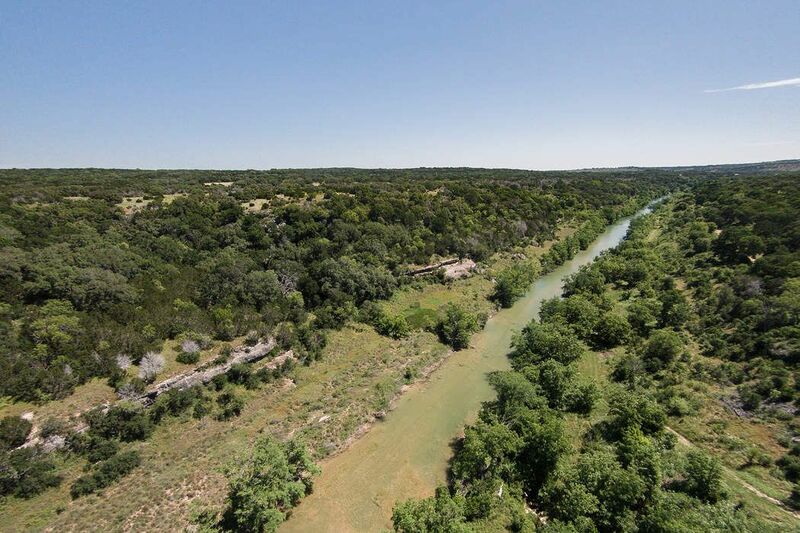 This magnificent river-front ranch, located off Hamilton Pool Rd, is near all the best hill country attractions and boasts approximately 640 frontage feet of Pedernales river frontage. 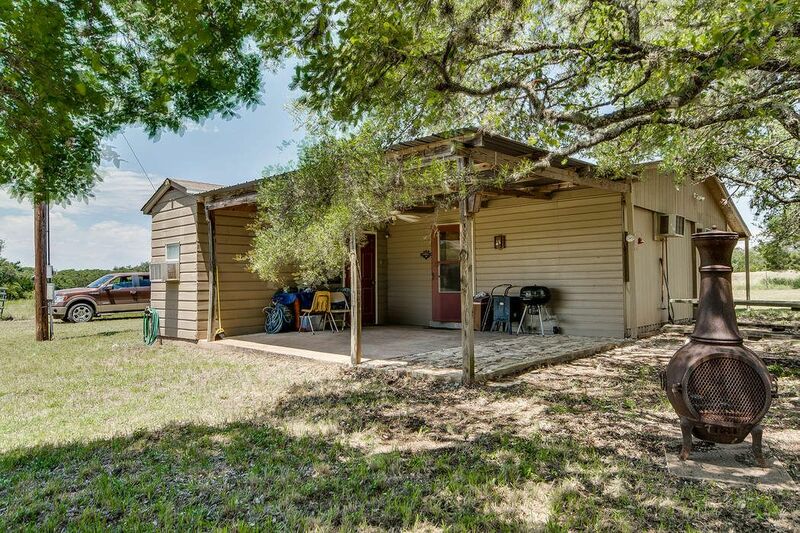 A true Texas gem. Property is on left side of river in image. 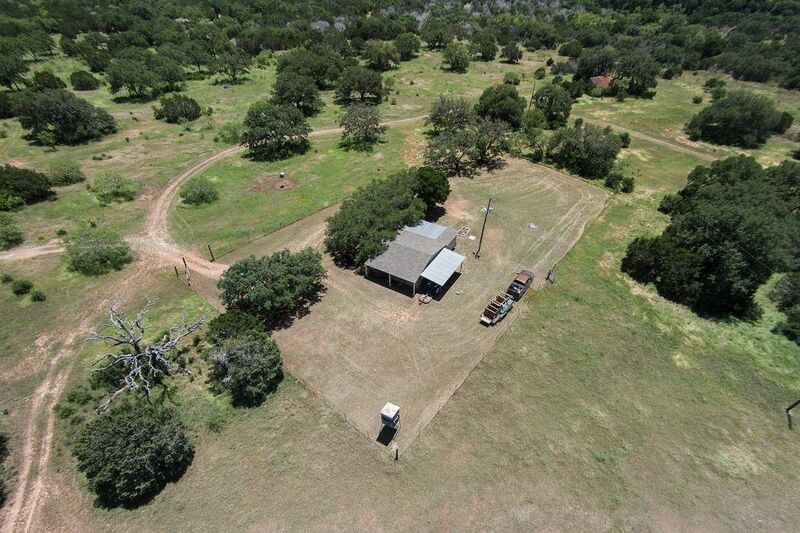 Aerial view of property and hunting cabin. 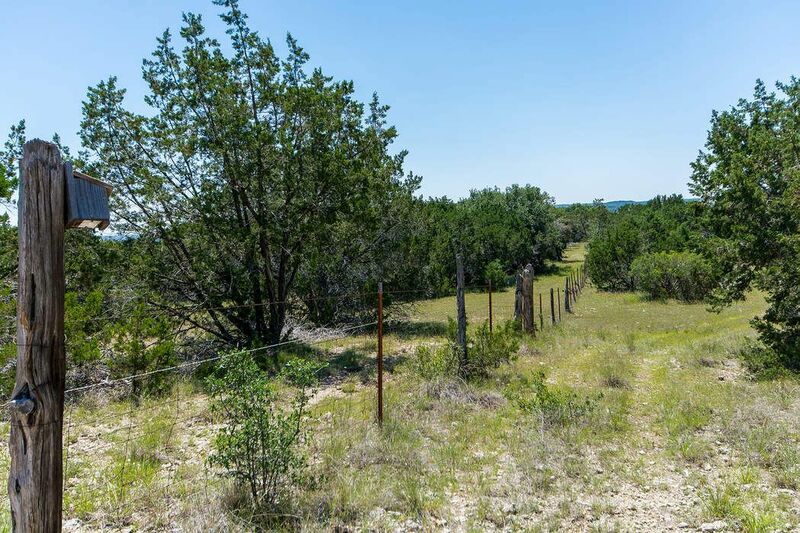 Dark tree line is property boundary at Pedernales River. 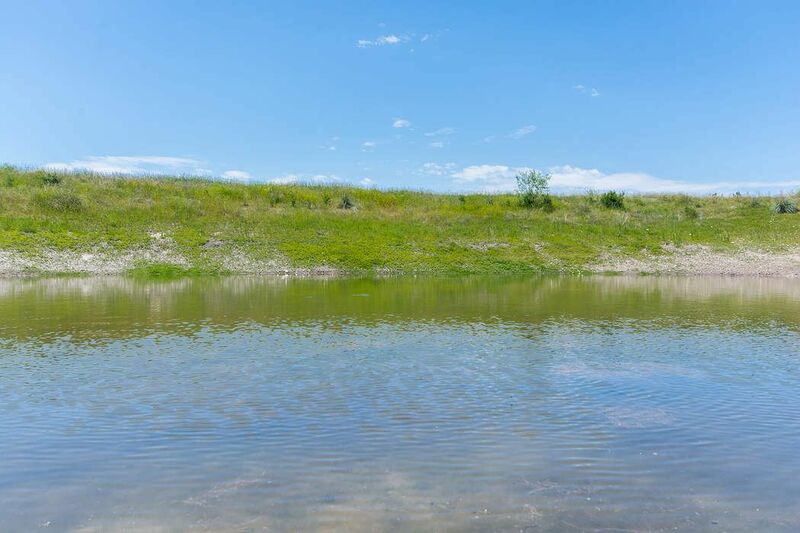 Gorgeous river frontage on this expansive ranch. Property is on right-hand side of river in image. 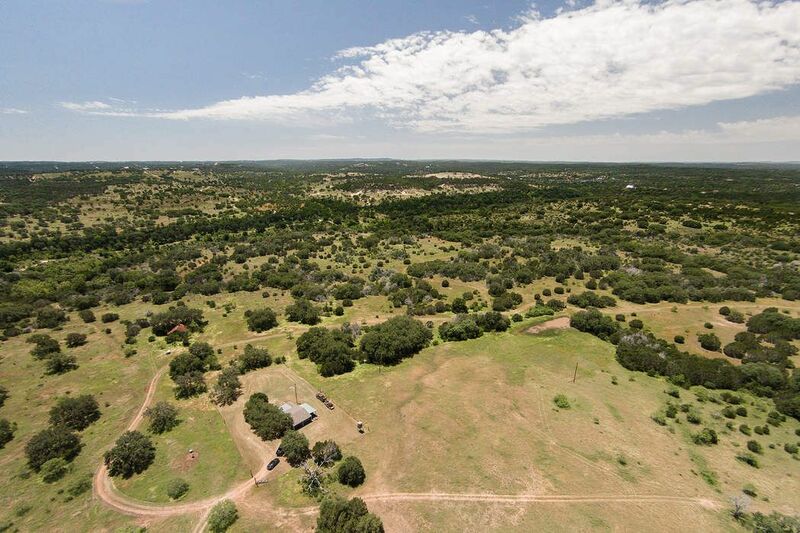 Alternate aerial view of property. Dark tree line is river bluff boundary. 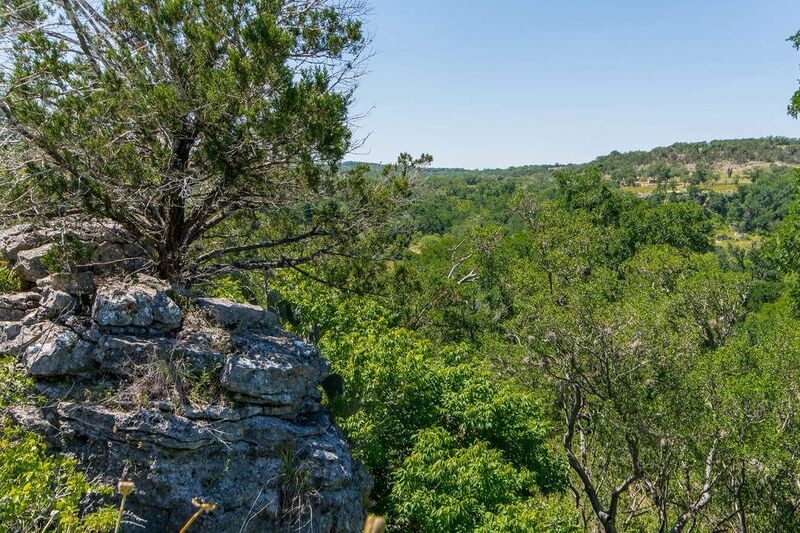 Build your Texas hill country dream home to frame this extraordinary view from the river bluff! 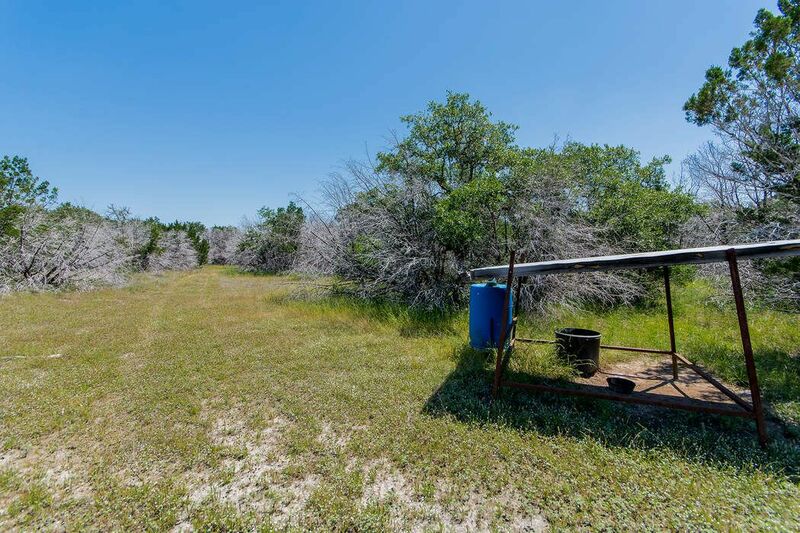 No need to wait to start enjoying your recreational ranch/hunting retreat. Existing cabin boasts living, kitchen and bunk room. Electric, well and septic already in place. 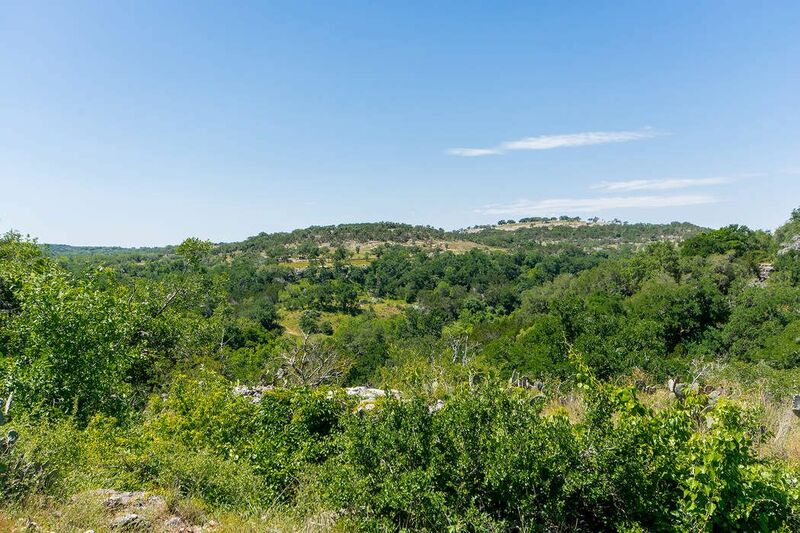 Enjoy spectacular vistas from the river bluff overlooking the hill country. 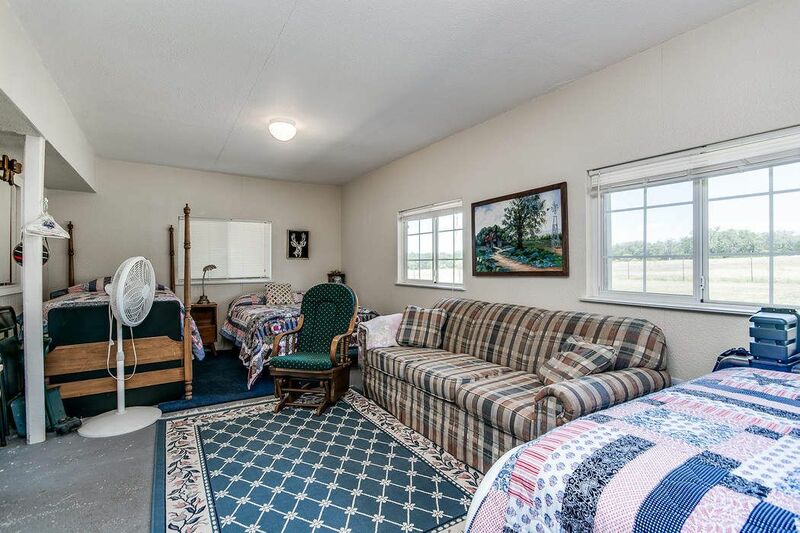 This charming country cabin provides a cozy retreat to return to after exploring all corners of this beautiful property. 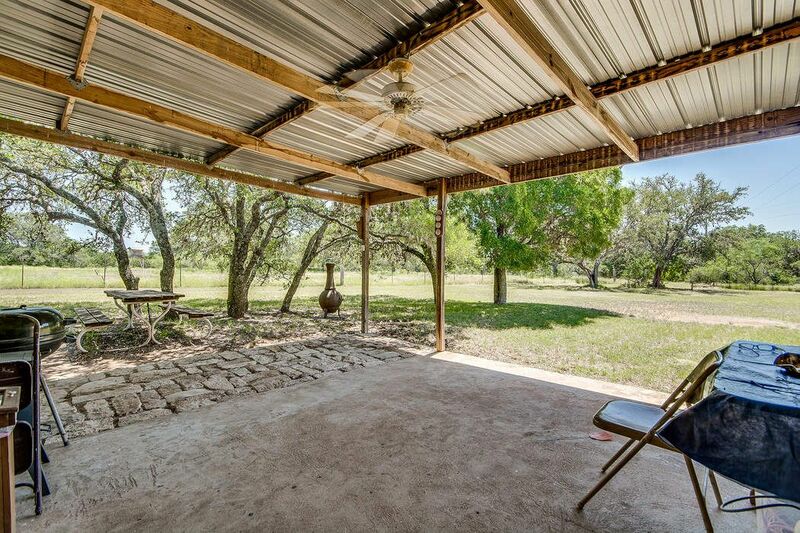 The cabin's covered porch is a perfect spot to grill out or just relax in the shade with only the sounds of nature. Fry your backstrap up here! 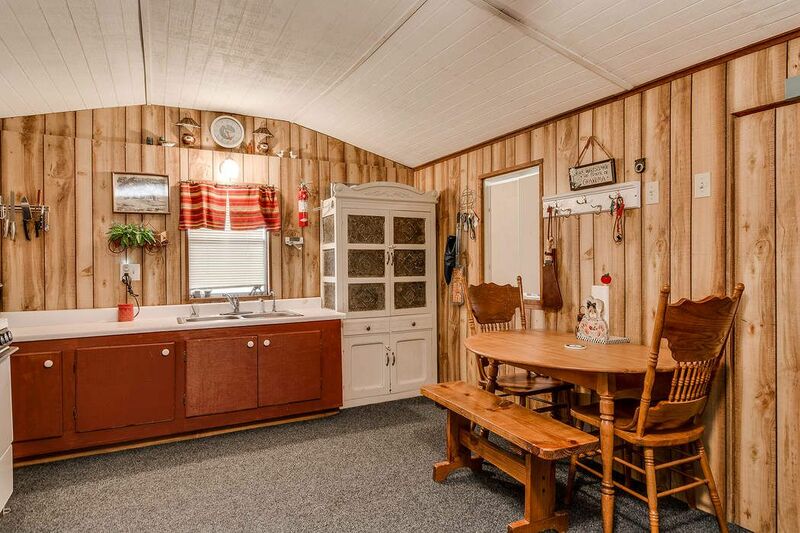 The cabin's kitchen is perfect for country living. Cozy cabin living area is a perfect space for relaxing at the day's end. Cabin bunk room has ample space for all members or your hunting party. 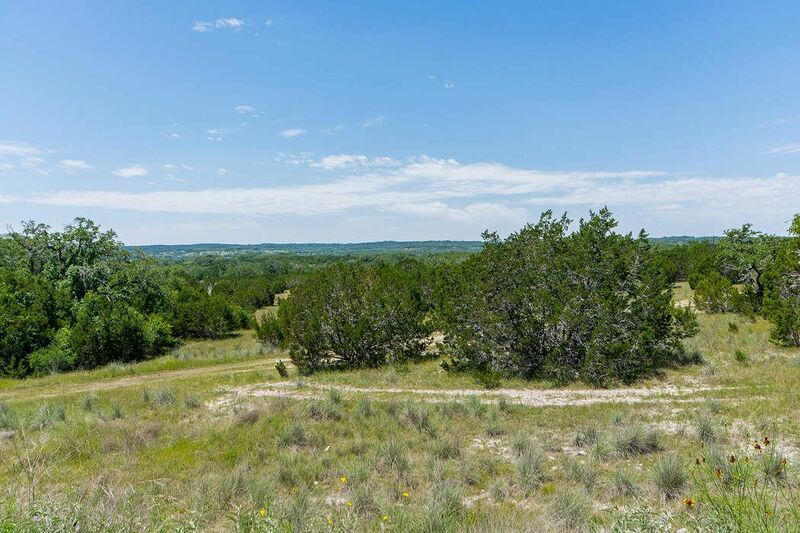 Cedar groves hold game and provide wildlife habitat. 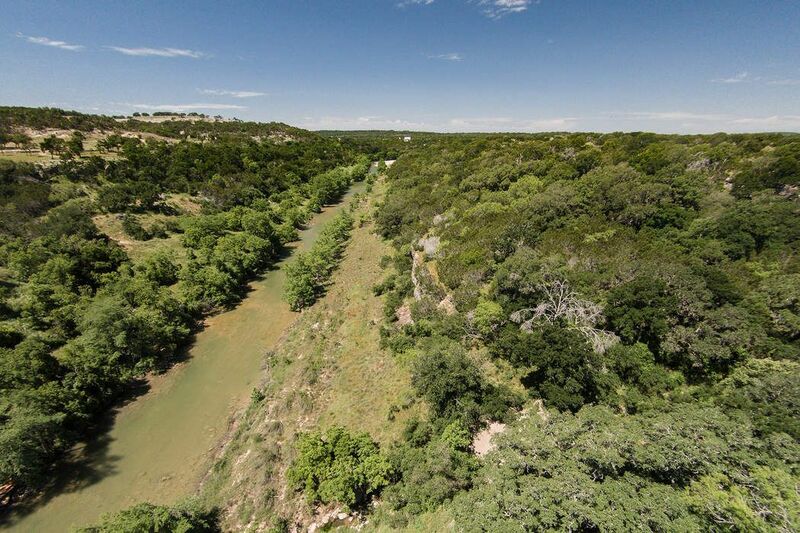 Come view this stunning property shown on left side of the river in this image. Spanning views are a hallmark of this exceptional property. Breathtaking image of the property looking back across the river toward bluff. Property is on right side of river in this image. Mature oaks complete the picturesque view and are visible from the cabin. Wildlife management system infrastructure already in place for tax exemption. Water collecting system shown here. 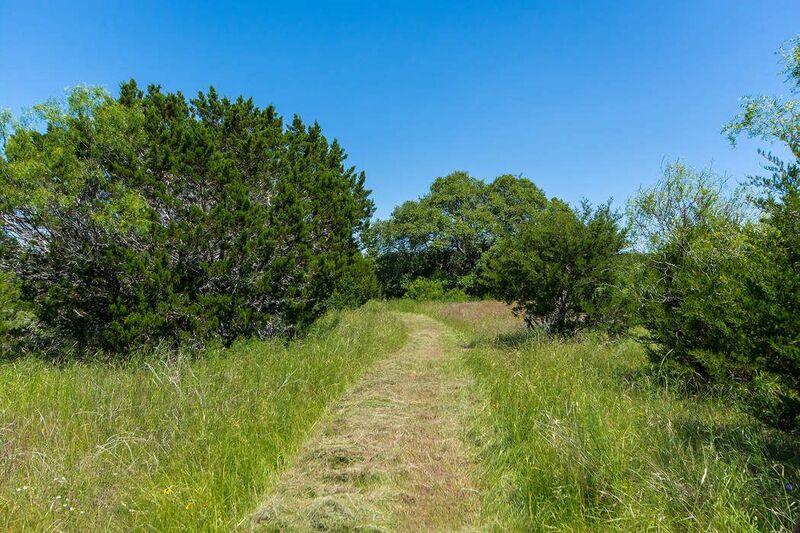 Established trails criss cross property for ease of access. 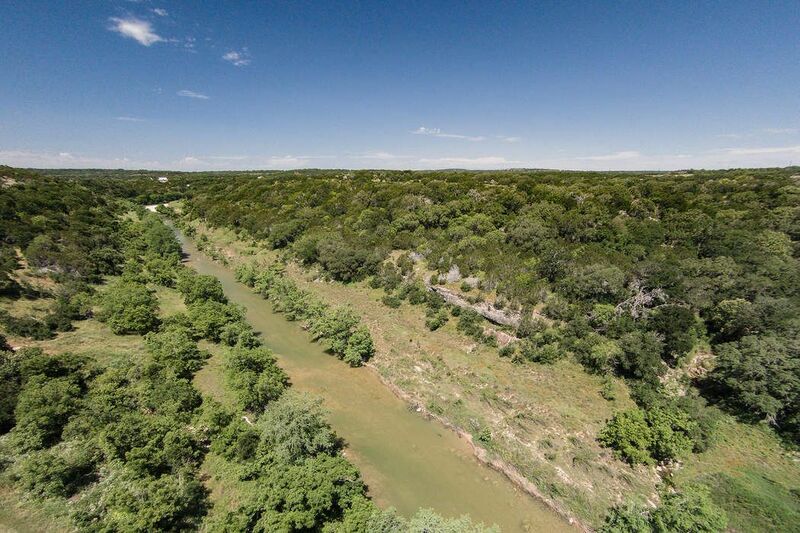 Aerial view above the property's river bluff looking downward toward the river. 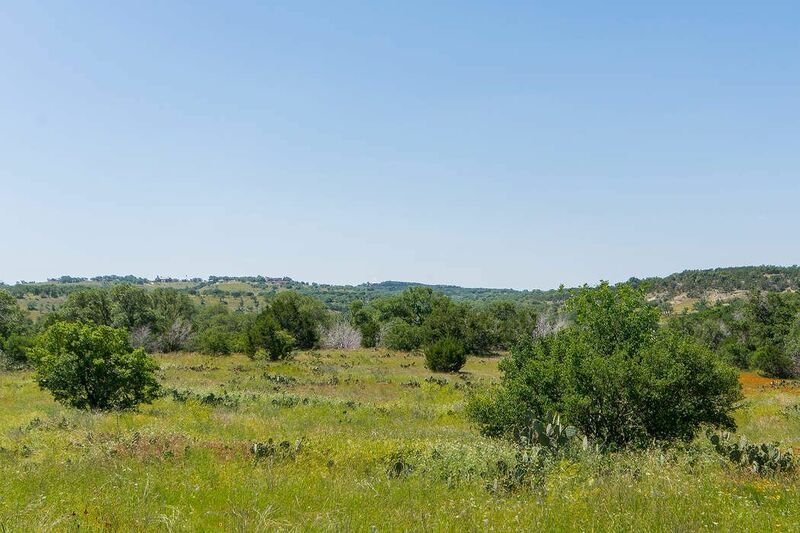 This beautiful meadow is the perfect place to feed out your turkey and other game bird. $2,599,000 1 Bedroom1 Full Baths690 sq. ft.
An approx. 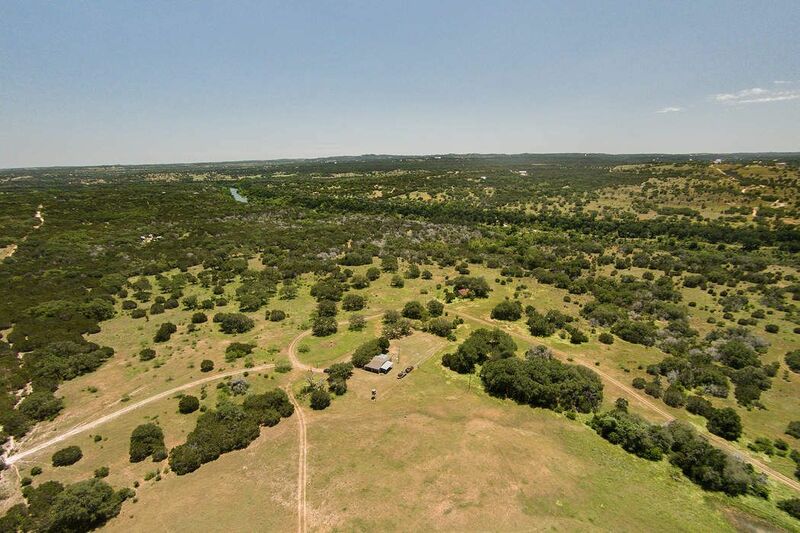 201-acre waterfront ranch. 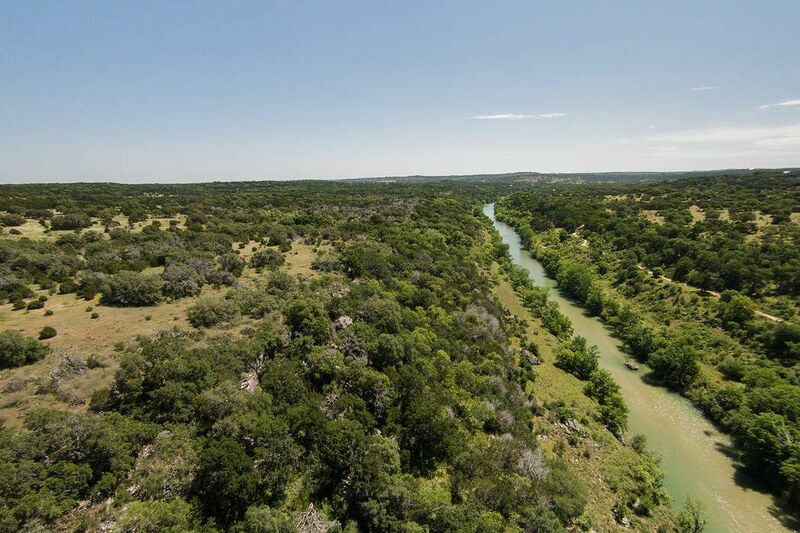 Magnificent riverfront property located off Hamilton Pool Road (Ranch Road 962) has spanning bluff views overlooking the Pedernales River. 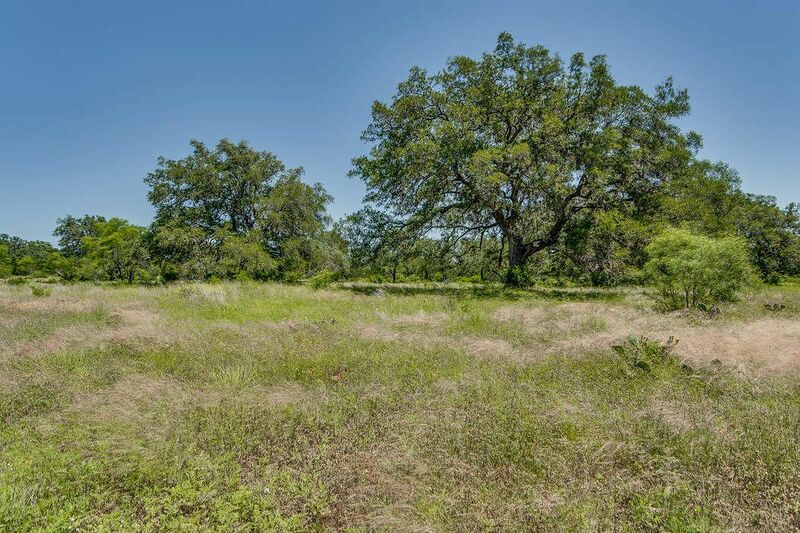 With approximately 201 acres, an estimated 640 linear feet of river frontage and bordered by large neighbors, this prime parcel is an ideal recreational ranch or the perfect future building site for your Texas hill country home. 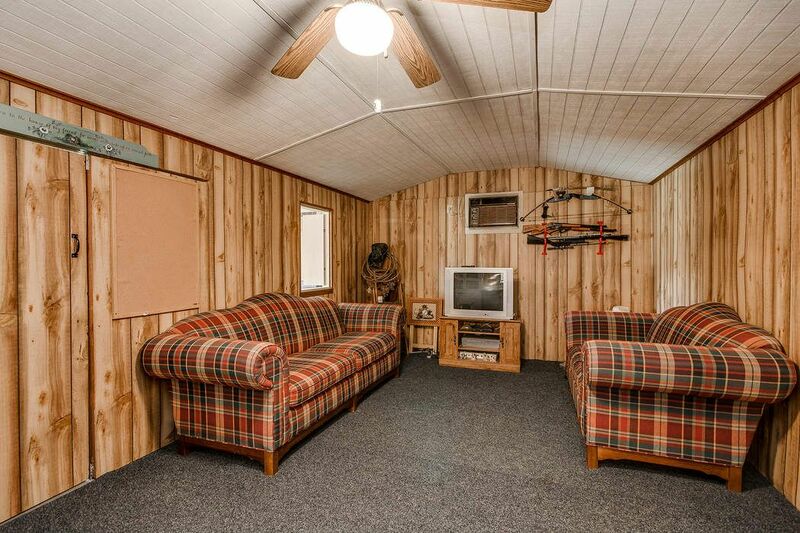 Existing hunting cabin provides immediate lodgings with kitchen, bunk room, well and septic. Wildlife preserve infrastructure conveys to ensure manageable taxes. 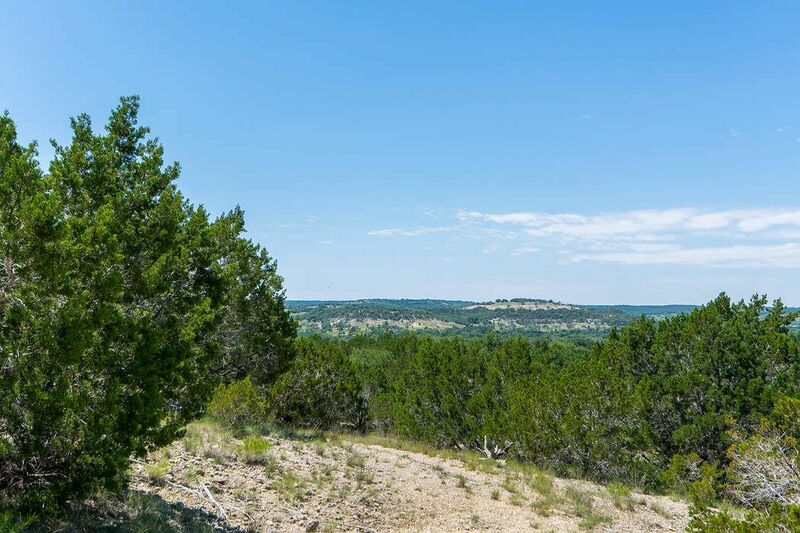 Ranch boasts the best of the hill country landscape with two livestock ponds/tanks, a wet-weather spring, cedars for holding game and wildlife, mature oaks, cleared pastures and rocky, river-front bluff.